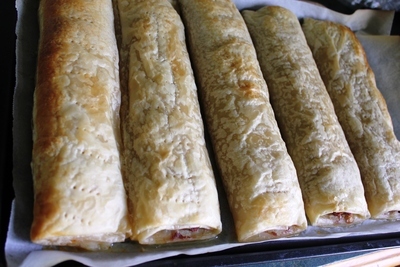 Get the kids involved in making dinner or lunch today with these healthy home made sausage rolls. When you make them yourself, you can guarantee there are quality ingredients and no nasty preservatives involved. This recipe is very basic and even small children will enjoy participating in the rolling and baking process. Finely chop (or grate) the carrot and zucchini. 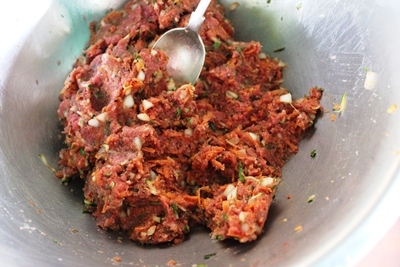 Add the mince meat, sea salt and freshly ground black pepper. Mix the ingredients together well with your fingers. 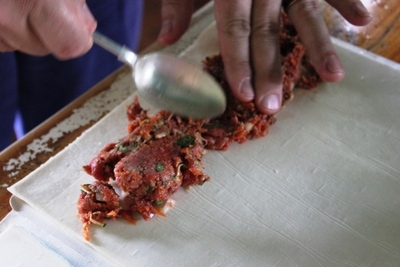 Lay out the sheets of puff pastry and place the meat mixture in a line at one end. 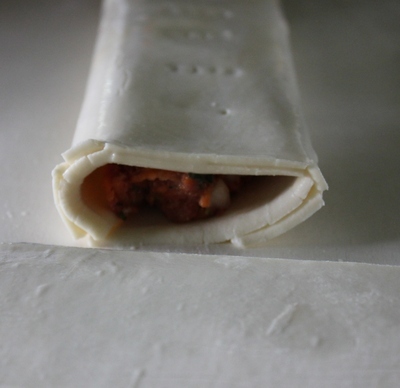 Gently roll the meat mixture inside the puff pastry sheet, as if you were wrapping it up in a little blanket. Prick the outside of the pastry with a fork and place on a baking tray. Bake in a moderate oven, or until they are slightly brown on top. Serve with tomato sauce for dinner or lunch or maybe on your next picnic. Enjoy.